European countries have been at the forefront of regulating the crypto industry for quite some time now. Other major world economies which have so far realised the significance of blockchain technology have shown interests in regulating the industry in the past few months. To show that the world top economies really mean business when it comes to regulating the crypto industry and cryptocurrency, it was made known in the recently held G20 meeting of top politicians from around the world that pressure will be mounted on governments across the world to regulate the crypto space within its borders. The G20 otherwise known as the Group of Twenty is an international forum for the governments and central bank governors From Argentina, Australia, Brazil, Canada, China, the European Union, France, Germany, India, Indonesia, Italy, Japan, Mexico, Russia, Saudi Arabia, South Africa, South Korea, Turkey, the United Kingdom, and the United States. 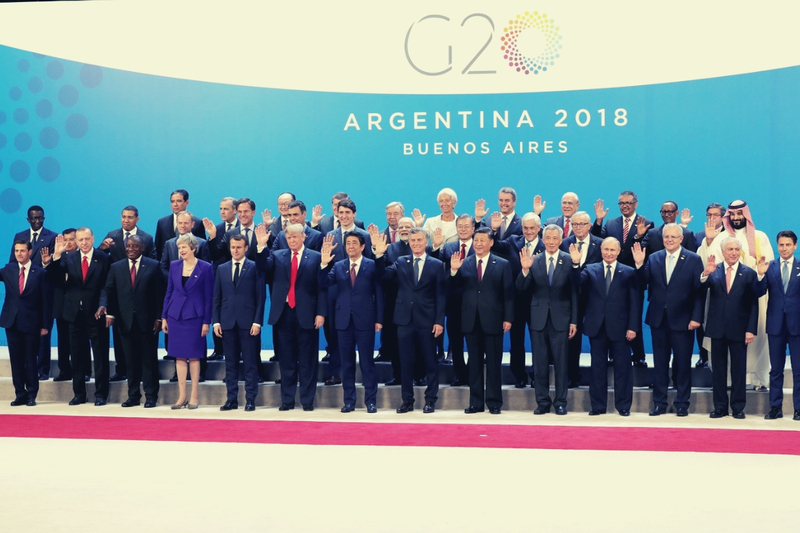 The G20 Leaders’ Summit which was held in Buenos Aires, Argentina, ended yesterday and there, it was made known that a fair and an open financial system is crucial to support economic growth. Leaders also called for international standards to regulate new technologies such as cryptocurrency.